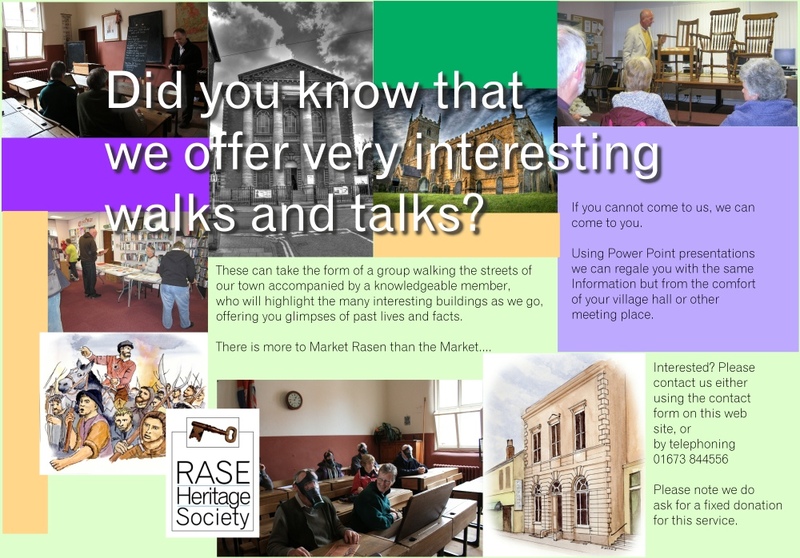 Market Rasen is world famous for its racecourse, but how did it come about? the modern day facilities in Legsby Road. The Town’s Races have a long history, and have occupied several sites. In early times, the races were held on a ‘point-to-point’ basis, starting from one of the local inns, so there has been a connection between the two forms of hospitality for many a while. A detailed history has been written by Jean Lucas for those who want to know more about the actual races and the various sites that have been used over the years, as well as the owners and the horses themselves. We also know that the landlords of the major Market Rasen Inns were involved in the pre- and post-race activities, one of the main players being Mr. George Rowell, who is shown in Trade Directories of the day as being at the Gordon Arms at least by 1861 and still there in 1885 or later. He was a ‘farmer and victualler,’ and between 1848 and 1872 his land was used to host 13 out of 31 race meetings. Incidentally, his Inn gave its name to Gordon (Arms) Field, still in existence today. The Greyhound Pub (Now the Chase) left, with the White Hart Hotel beyond that. Over the years, he made available sites at Legsby Lane, Mill Lane, Linwood Rd and Willingham Rd, the latter on the opposite side of the road to the present racecourse site. But in 1865 the Mail reports that ‘entries were made at the Greyhound Inn (where stakes were to be paid over to the winning owners in the evening. )’ This suggests that the other Inns were making sure they shared in the benefits of trade which the races brought about. 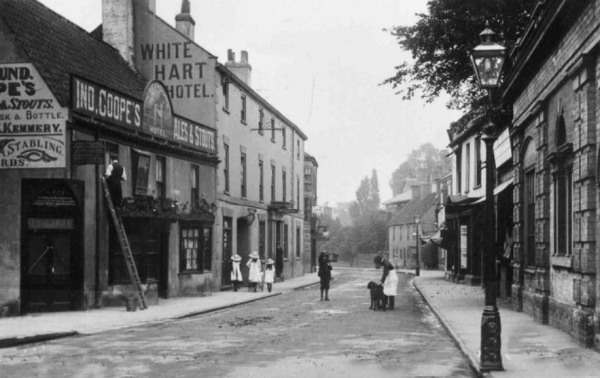 As was to be expected, the White Hart, as another of the town’s main Inns, – at one time home to the Post Office, Bank and Excise Office, and the ‘Justice Room’ prior to the opening of the Police Station in 1849 – also played its part in the Race Day hospitality. as spiritual aspects of the town’s residents. Eventually the Society collapsed in September 1888, under pressure from competition, exactly of what nature is not made clear, and shortly before the Feast Week races were due to be held. Initially there were only two races per annum, hardly a busy day’s event, but they were arranged by the Society for the benefit of Gentlemen, and as part of Feast Week games and celebrations, early races being between just two horses. After the coming of the railway in 1849, horses could be brought to town by train and unloaded at the passenger station. Excursion trains also brought crowds to the meetings in later years, as the reputation of Market Rasen races grew – in 1857, 3000 spectators were at Legsby Lane. A Race Card from 1859 tells us that there were six races, the jockeys to report to the White Hart at 10am. After the races, there was a dinner held at the White Hart; this would probably have been from around 2.0pm onwards. The present day race course is sited on land bought in Willingham Rd. by the Racing Committee in 1924. The first race was won by ‘Have a Care,’ owned by J. G. Lyall and ridden by his son Bob, who was, fittingly enough, the grandson of George Rowell. Even today, the trains bring some race goers to the meetings, but many more come by coach so that they can call at some of the town’s pubs, before and after the races, thus showing that the pattern of hospitality continues unbroken.